It’s time to pack up the pencils, pastels and paints, and make art en plein air! Children, families, amateurs and professionals are invited to set up an easel or board on the grounds and capture Lynden in the media of their choice. New to the joys of making art outdoors? The art studio will be plein air central: drop in during the afternoon for pointers and check out a watercolor kit to take outside. Dress for the weather, bring a seat and consider an umbrella. It’s also time to celebrate Lynden’s second anniversary, so we are adding some special events to make the day memorable. We will be announcing these activities here. First up, live music by Painted Caves. If we couldn’t resist celebrating our anniversary by making art outdoors in the sculpture garden, how could we resist a musical ensemble with “painted” in its title? Founded and directed by Milwaukee native son, guitarist and vocalist Ali Lubbad in 2010, Painted Caves is a bold step into new musical frontiers. 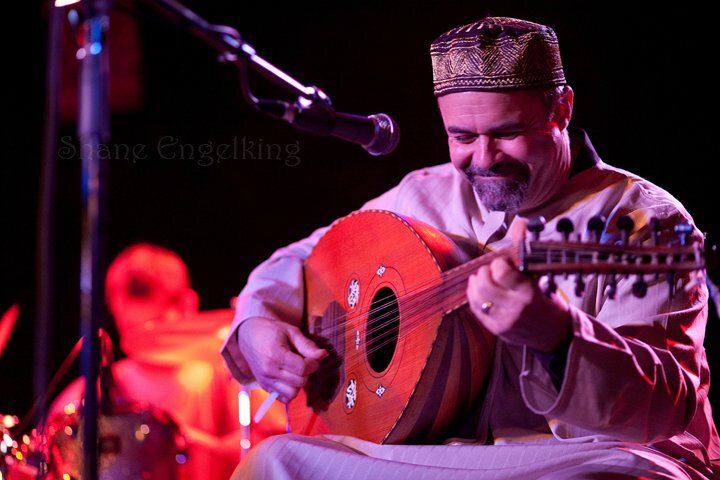 Integrating the beauty of Near Eastern musical modes, instruments, and rhythms into Western folk and jazz music structures, the Caves create a lush union of sweet melody and powerful rhythm that is drawn from Palestinian-American roots. With performances on oud, darabuka, tar, and electric surf guitar, Painted Caves creates meditative music that inspires, updates and beautifies the American musical landscape. Painted Caves will be performing outdoors from 1 pm to 3 pm. Something New for the Rose Garden, made in 1982, explores the Lynden Sculpture Garden through the eyes of Carl Urban, the family gardener. 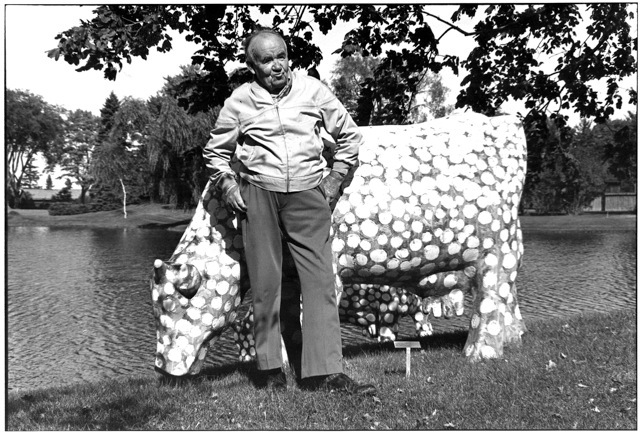 Having worked the land since 1932--long before there was any sculpture at Lynden--Carl was able to offer a unique and personal perspective on the pieces that began to arrive in 1962. His folksy anecdotes are combined with a colorful soundtrack to create a whimsical impression of the garden. The video premiered on PBS in 1982 and features the musical talents of Dave Kenney, Tele Lesbines, Linda Ramond and Judith Ormond. The actor Henry Strozier contributed to the narration. Heather Eiden, ceramic artist, art educator and yoga instructor, offers a weekly outdoor beginning/intermediate Hatha Yoga class at Lynden each summer [link to new yoga class info]. Eiden focuses on mindfulness, centering and alignment as she leads students through asanas (physical postures), pranayama (control of the breath), and relaxation. Wear appropriate clothing and footwear (yoga socks) for outdoor practice; bring a mat. We resume our weekly docent-led tours of the sculpture garden. No reservation is necessary for this tour, but to reserve a spot for future Sunday tours, which run all summer, please click here. At 3 pm, you may join Sharon Morrisey of UW-Extension and Jason Housworth of Davey Tree for a talk and tour that focuses on trees at the green time of year. We had timed this for the season when the trees just begin to leaf out, but nature got ahead of us this year! The tour will begin on the patio, where your guides will lead you on a walk that loops around the lake where you will identify some of the unusual trees at Lynden (Shagbark Hickory, European Beech, Amelanchier or serviceberry, Bald Cypress, Dawn Redwood and more). Bring your questions for the tree experts! Professional artists please note: the artists who created the sculpture at Lynden retain the copyright, and therefore the reproduction rights, to these works. Should you plan to sell any of your work depicting sculptures here at Lynden, it is your responsibility to contact the relevant copyright holder (usually the artist or artist’s estate) or artists’ rights organization (Artists Rights Society, VAGA) to secure permission to use the image. For more information on copyright as it pertains to works of art, visit http://arsny.org/basics.html.